The new Joyetech eGo AIO Kit which is specially designed for the Joyetech 10th Anniversary with pocket-friendly size and elegant design. Consisting of 1500mAh built-in battery and 2ml tank, the Joyetech eGo AIO kit is a compact yet powerful pen style AIO starter kit with anti-leakage TFTA structure, child-lock design and changeable LED lights. Moreover, the eGo AIO Kit comes with an innovative BF SS316 0.6ohm head for best MTL inhale with stable direct output to provide a great vaping experience of nice taste and vapor clouds. 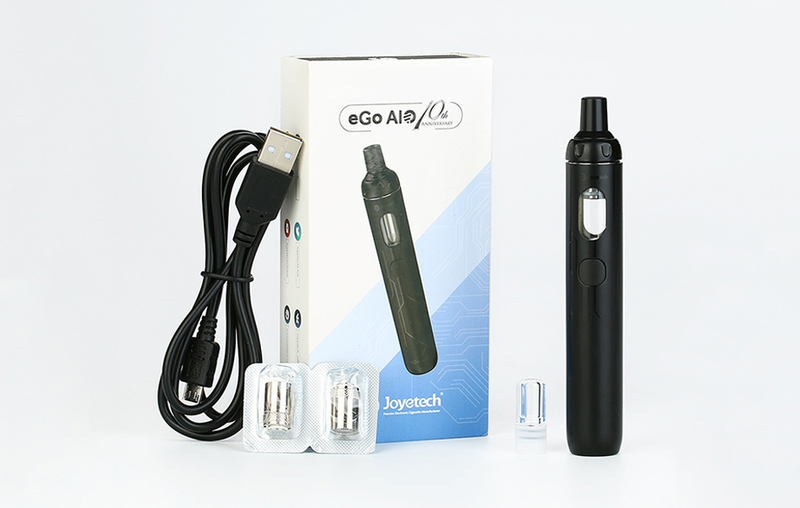 In short, the Joyetech eGo AIO Kit is definitely a simple yet excellent device for starters and experienced vapers.